Someone has also taken the initiative of starting a website attacking United’s Starnet blocking, which has a good description of the practice. Check out unitedstarnetblocking.com. As much as I would like UA to not block partner airline award seats, it seems pretty clear that doing so would cost them money. And as they are not exactly super profitable right now, that would have to mean that the costs get recovered somewhere else. Higher fares? Unlikely. Service cuts (how many olives do you have to remove to allow for free Star Alliance redemptions)? Higher fees? Reduction of UA award inventory? (probably not a viable solution as those are “free” (unsold) seats anyway). @ Oliver — I see where you’re coming from, but I disagree with your conclusion. 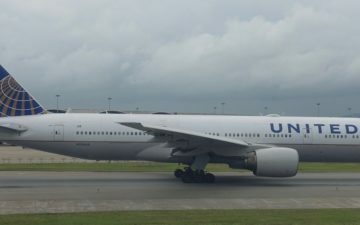 United doesn’t release how profitable Mileage Plus as such is, but I’d bet it’s pretty darn profitable, at least based on looking at other loyalty programs. These programs are simply massive money makers. At the same time they have to balance profitability for that specific department (Mileage Plus) with trying to retain loyal customers, and ultimately profitability for the company as a whole. They could also save money by staffing Mileage Plus with 80% fewer agents, and then we’d have to wait on hold for hours on end. I could also then make the argument that if they were to return staffing levels to normal, the money would have to come from somewhere. The fact is that I believe United would be more profitable (at least in the long run) if it weren’t for Starnet blocking…. Lucky. I think a major reason for MP to be profitable as a unit is that a lot of miles are simply not getting used, or they get used for “cheap” (25,000 mile domestic RT) tickets, because that’s what many people want (or think is a great deal). In fact, how profitable are you to UA as a whole? 😉 Do you think UA would consider it major a loss if you decided to change your loyalty to AA/Delta/…? And as I said in my first comment, I’d love to have easier access to all Star Alliance awards, but I fear that it won’t come for free, and I might not like what I end up giving up in exchange. I think a step in the right direction would be to lift the blocking on routes that simply aren’t available on UA metal. For me travel is for the most part about the destination and getting there in reasonable comfort. If that means flying UA, that’s not the end of the world for me. If I look at the revenue (and profit) I am generating for UA and what I get in return (thanks to investing some time and learning on FT), I think I am still getting a pretty darn good deal. I’m with you on this Oliver… it’s disappointing, but UA is in business to provide value to shareholders. Oh and I’m probably not one of the most profitable customers either. UA engages in Star blocking on minor and shorter routes often where United does not fly such as intra European routes and intra Asia routes like SIN-DPS. 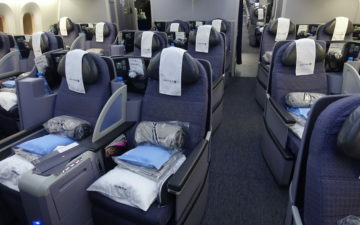 How does United expect its customers redeeming these awards to get to their destinations? I think both citownflyer and oliver both have very valid points. So maybe instead of completely eliminating starnet blocking, they could at least relax it by removing it from places UA doesn’t fly. It does make good busines sense for UA to block us on routes where we can go on UA metal. Other routes not so much. This would also then make more sense as far as why some other *A airlines don’t do the starnet blocking. I have to agree with Oliver. In fact, I wonder why United doesn’t increase StarNet blocking. They will increase profitability in the short-term, and as long as their bank backers (Chase?) keep underwriting and pre-purchasing hundreds of millions of dollars worth of miles, they won’t see a blip in profits. 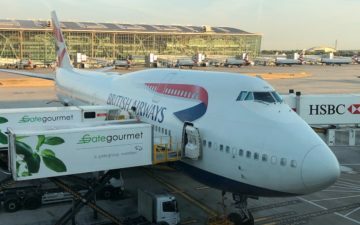 A subset of their customers will continue to be unhappy about it, but most of them are not voting with their wallets and selecting an alternate airline and/or mileage program [and I do believe, unless you live in SFO or DEN, everyone has a credible alternative]. I do agree it makes no sense to block short tag-on partner segments where UA doesn’t operate, I guess that comes down to how airlines compensate each other for awards. Have they explained their rationale on that? If they were inclined to compromise, my guess is they would open up tag-on segments, but insist the longest / overwater segment be operated by UA. In your discussions with United, have you gotten the sense they would eliminate Starnet in exchange for inflating the award chart? 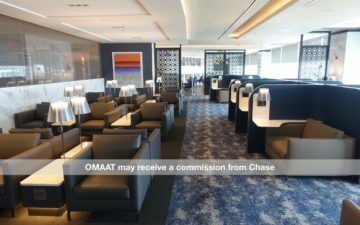 Only credit 50% for lower fares, and increase award mileage requirements? Realistically, I think you will need a change in management philosophy at United before anything changes. Maybe the credit card issuing banks see a drop-off in volume and force change, or a UA bankruptcy, or a CO takeover, or LH gets closer to JetBlue and distances themselves from UA. Something big.